In 2010 CLFMI commemorated a half century of service to the industry by voting on the Top Ten Accomplishments of its first 50 years. The Top Ten were announced at the CLFMI 50th Anniversary Celebration at the Hotel Del Coronado in San Diego, CA in November, 2010. 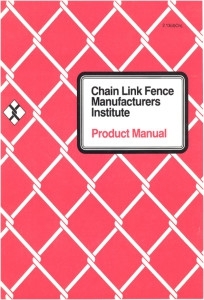 As the industry (and the Institute) evolved, it was obvious that one of the keys to the successful future of the chain link fence industry would be the establishment of quality standards for various products. Rather than trying to create another standards-setting entity, CLFMI leaders decided it would be better to make the Institute the recognized “single source” for existing applicable private and government standards. Thus was born the idea for the CLFMI Product Manual, the publication that helped define the Institute. 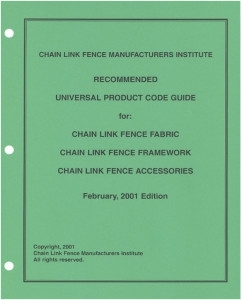 Over the years, the original “compilation” has transformed into the most widely referred-to document in the chain link industry. The Product Manual continues to evolve, with the current version including the drawings that architects and specifiers have been seeking for years. 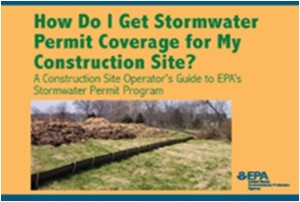 In the 1990’s the Environmental Protection Agency (EPA) mandated that all companies storing materials outdoors test the rainwater that ran off their property into public waterways in order to determine if unacceptable levels of chemicals were being sent into waterways. If this was found to be the case, a company had to develop methods to reduce the runoff or face severe fines. It was estimated that CLFMI members collectively had over 60 facilities that would have to be tested and monitored for over a year in order to comply with the testing requirements. In the late 1980’s a disturbing upswing in number deaths of young children in home swimming pools throughout the U.S. caused the Consumer Product Safety Commission (CPSC) to re-examine the guidelines for swimming pool safety (Note: At one point drowning in a home swimming pool was the #1 killer of children under 5 in California). CLFMI was invited to participate in discussions with CSPC regarding what types of perimeter fencing should be recommended and/or approved under CSPC safety guidelines. 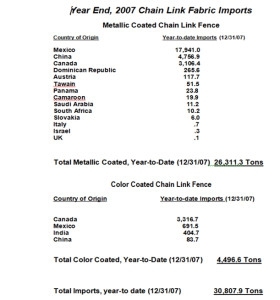 CLFMI was instrumental in having chain link fence identified as a practical and safe option. 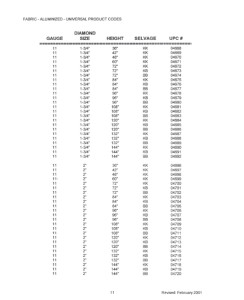 The Institute also helped gain inclusion of knuckle/knuckle designs for the fences. 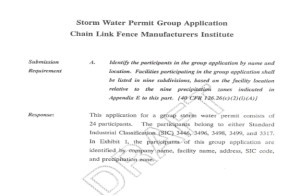 CLFMI contracted with an environmental law firm which petitioned the EPA to allow CLFMI Member Companies to file a Group Permit, rather than a separate permit for each manufacturing facility (some CLFMI member companies had dozens of facilities). In order for this Group Permit to be considered, the EPA required the industry (via CLFMI) to verify that there were enough similarities among the various facilities to determine that testing at a representative number of geographically diverse sites would be adequate to identify the potential problems and to determine the appropriate steps necessary to correct the those problems. CLFMI member firms which were to be included in the potential group shared the cost of applying for the permit on a proportional basis. In addition, member firms donated hundreds of hours of labor to help produce the documentation needed to establish the required verification of similarity, as well as to meet with legal counsel and EPA representatives. The result was an EPA acceptance of the CLFMI Group Permit. One member firm estimates that the Group Permit saved it nearly $80,000 in testing costs, paperwork compliance, and personnel costs. Under the guidance of then-President Les Grube (for whom the award would eventually be named), CLFMI formed a committee to outline the award qualifications and to begin promoting the award throughout the industry. It was decided to give awards to both the designing architect and the installing contractor. At first the awards consisted of specially-designed plaques and an accompanying media campaign to announce the award winning project. Today the award also includes a cash award, funded jointly by the Institute and the Grube Family, in honor of Les. The first award (in 1985) was given to Pritzker Award-winning architect Frank Gehry of Venice, CA for his design of the Sign At Santa Monica Place, a huge project incorporating chain link to spell out the words on the front of the shopping center’s parking garage. 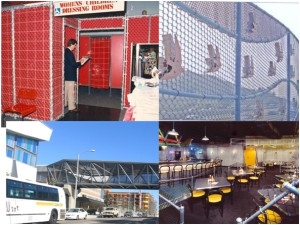 In the years to follow, Design Award winning projects have ranged from an interior application of chain link in a Tijuana nightclub to highway fences with embedded designs developed by a state highway department. 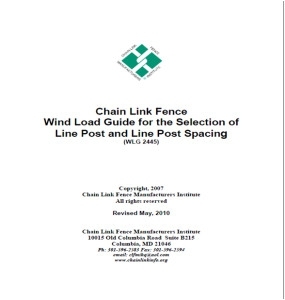 In response to ongoing requests from engineers and architects, CLFMI developed its own comprehensive Wind Load Guide for the Selection and Spacing of Line Post and Line Post Spacing. 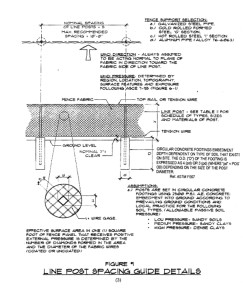 This gave specifiers a “one stop” document incorporating ASCE and other pertinent guidelines and standards. By the 1990’s CLFMI member companies had begun to computerize almost all of not only their administrative activities but also inventory control and other production-related functions. Since much of this computerization was designed to reduce costs, the Institute polled members to determine what items common to all producers might be standardized in order to assist with these cost reduction efforts. One item identified as costly and overlapping was the bar coding system used by industry firms. CLFMI developed a voluntary universal bar coding system to help members not only standardize their own systems but to aid customers, suppliers and other industry partners in dealing with member firms. As the post-9/11 world led to the creation of the Department of Homeland security (DHS) and other safety agencies, CLFMI became more and more engaged with the security industry at all levels. When the U.S. Government announced a major program (including hundreds of miles of fencing) to protect the U.S.-Mexican border from illegal immigrants, CLFMI became immediately involved. Through the combined efforts of members and staff, CLFMI was able to meet with key DHS officials, testify before Congress, and increase awareness of chain link fence’s capabilities to meet border protection requirements. Among the activities undertaken by the government to determine what products and services to use on the border, a FenceLab program was set up by DHS and its contractors to do testing on various fencing systems. 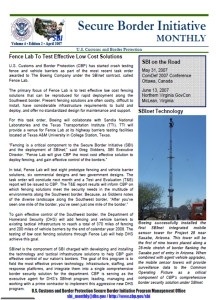 CLFMI monitored this program carefully and was instrumental in assuring that security-grade chain link fencing systems were included among those tested for use on the border. 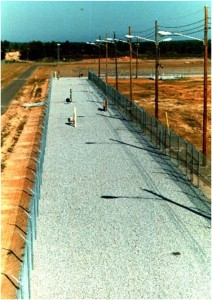 Although other products were selected to be the material of choice for the first part of the border fence, the chain link systems tested well during FenceLab and left government and private security professionals open to using chain link on future security projects.